Voyage into a tropical paradise of learning with Disney’s brave new heroine, Moana. Who said getting smart has to mean sitting still in a classroom all day? 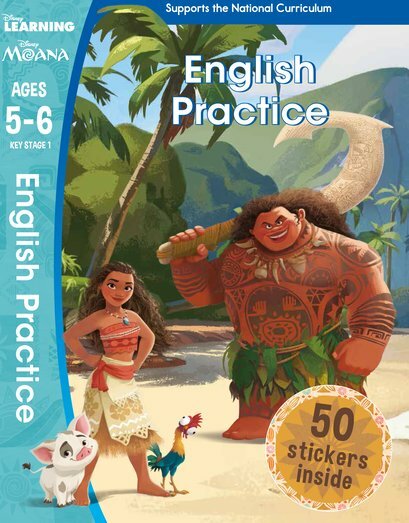 When you set sail in Moana’s magical ocean world, you’ll battle hurricanes and monsters – _ and_ practise essential English skills. Cool! Impress your teachers, stay on top in lessons, have massive adventures and play with heaps of stickers. How much more fun can you have in a learning workbook?